Join us at 9:00am (Room 203) or 10:15am in the Attic (high school) or Room 203 (middle school). 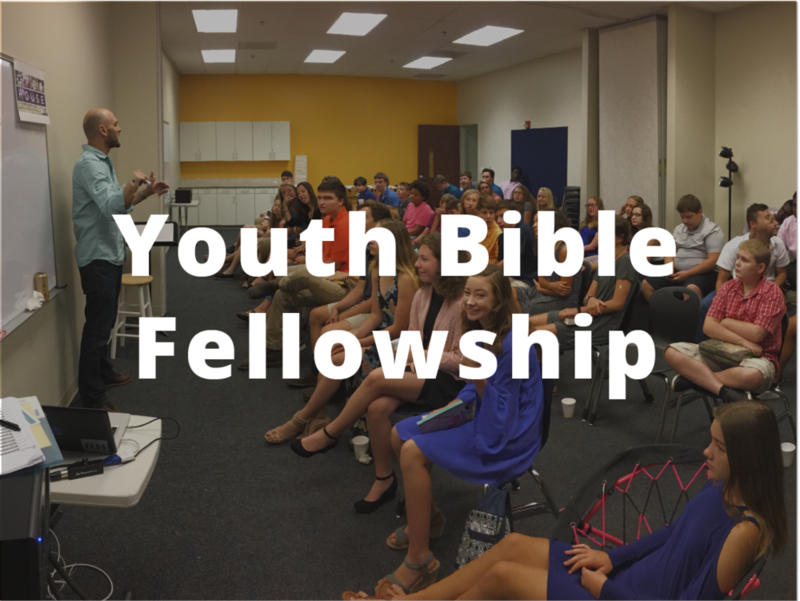 YBF is all about connection and discipleship. Students hang out, eat breakfast, and then dig into the Word. Some weeks you will experience a large group environment with table discussion and other weeks you will divide into grade-level classes. Middle School - This once a month gathering is where we’ll pull out all the stops for middle school students! We’ll have a light meal, teaching, and a surprise every month. Bring a friend and join us in room 203/205. You do not want to miss this! High School - Join us in the Attic where we will all come together for food, games, worship, and biblical teaching! On the weeks we do not meet, students are expected to meet in their table groups during the week. Parents - You’re invited to Parent Connect which meets each month for a special teaching time just for you! Room location B201. Due to Spring Break in April, the next United night is May 5th. We believe small groups are the biggest difference-maker in growing our students’ faith. Table Groups are absolutely a “can’t miss” for every high school student. Groups meet at different times throughout the week, but we always have on campus groups meeting Wednesday nights from 6:30-7:30pm. Our off campus groups meet in homes around our area. For more information please email Bart at bart@riverlandhills.org. Merge is fun and relational, designed with middle school students (7th & 8th) in mind. Join us for weekly teaching, games, and small groups. Youth handbells is for grades 7-12. Breaking ground in the art of bell ringing without tables. Join us for this new approach enabling us to ring everywhere. No audition is required.